The DIGISYSTEM™ is the DIGICAT™ 100 or DIGICATTM 200 underground service locator, DIGITEX™ 8/33 signal generator and DIGITRACE™ 30, 50 or 80 service tracer. 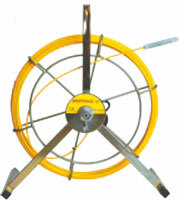 Now locating underground cables and pipes becomes a simple and speedy task. The system increases your onsite safety and saves effort and money. Via receiving reradiated radio frequencies through internal aerials, detecting the strength and direction of the received signals the operator is given the location and direction of the underground service. Mark the location of the service on the surface of the ground, giving the excavation team clear indications of where not to dig. The DIGICAT™ can be used to find live (energised) power cables, trace buried metal services which reradiate signals, and with the DIGITEX™ 8/33 signal generator via specific tracing frequencies give highly accurate results. The DIGITRACE™ service tracer allows tracing of plastic ducts, clay drains and other non-metallic conduits. Locates power signals radiated by energised cables. Traces signals originating from distant radio transmitters. These radio signals penetrate the ground and are reradiated by buried metallic cables and pipes. Locates a distinctive signal applied by the DIGITEXTM 8/33 dual frequency signal generator to a metallic underground conductor. Connecting the DIGITEX™ 8/33 to a valve, junction box, domestic power distribution network, or other access point of the conductor is the most effective methodology and is preferable to induction whenever possible. A Signal Clamp is used to apply the DIGITEX™ 8/33 signal to a pipe or live electricity cable. Supply is not interrupted by the applied signal and the operator is not exposed to any live services. The DIGITEX™ 8/33 induces a tracing signal into the underground pipe or cable. This is a quick and convenient method when direct connection or signal clamping is not possible. The DIGITRACE™ enables a complete length of drain, duct or pipe (non-metallic) to be traced when used in conjunction with the DIGICAT™ and the DIGITEX™ 8/33 or other signal generator. The DIGITRACE™’s coiled fibre-glass rod, which protects the central copper tracing conductor, is available in lengths of 30 metres, 50 metres, or 80 metres. The fibre-glass rod is inserted and pushed along in the service under investigation. The DIGITEX™ 8/33 is connected, and the tracing signal is located on the surface by the DIGICAT™. Users of the DIGI range products always have easy access to technical support, should it be required. Front line technical support for all tools is provided from experienced professionals at your local dealer or your nearest Leica Geosystems representative. However, the user friendly operation of the system and clear, easily understood directions on the product may make this support unnecessary! Leica Geosystems strongly recommend that the tools are regularly (every 12 months) serviced and calibrated by fully trained service technicians, either in an authorised Leica dealer workshop or a Leica Geosystems service centre. The repair costs for DIGI equipment are very competitive and turn around is usually within 5 days. Training for operators of the DIGI underground service location system is available from qualified instructors infield or at the dealers location. DIGIMOUSET™. To 3m within 10% accuracy (typical). Every year, site workers are injured due to inadvertently striking buried electricity cables or gas pipelines. With the DIGISYSTEM™ operators can locate, trace and mark underground services precisely and reliably prior to excavation. For use with the DIGITEX ™ 8/33 for connection of signal to long cylindrical metallic services (e.g. pipes, insulated electricity cables). 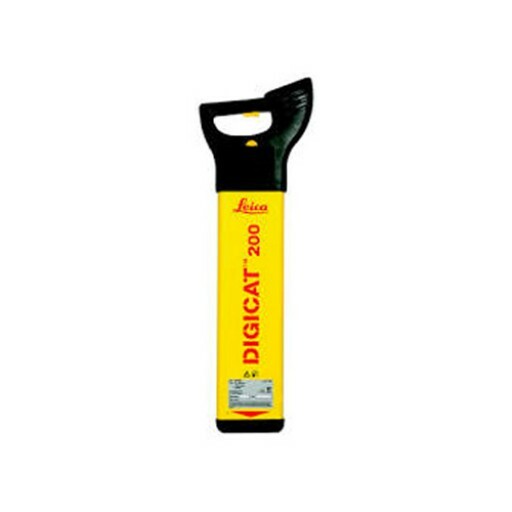 For use with the DIGICAT™ 100/200 and DIGITEX™ 8/33 for connection of a tracing signal to any internal power distribution system outlet and locating the electricity supply cable outside the building. Whenever you need to locate underground services, the Leica Digisystem is the right solution. 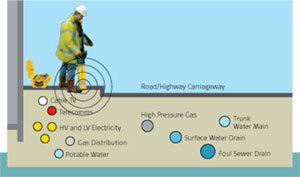 The system ensures fast and accurate location of buried cables and pipes and it increases your onsite safety. The Digisystem is designed on a safety-first philosophy, so we remove the ability for the user to «tune out» signals or to accidentally search in the wrong mode. The Digisystem tools are rugged and efficient, meeting all the needs of your tracing operations.